In this commentary Bo Lim, an Old Testament scholar, and Daniel Castelo, a theologian, come together to help the church recover and read the prophetic book of Hosea in a way that is both faithful to its message and relevant to our contemporary context. Though Hosea is rich with imagery and metaphor that can be difficult to interpret, Lim and Castelo show that with its focus on corporate and structural sin it contains an important message for today's church. 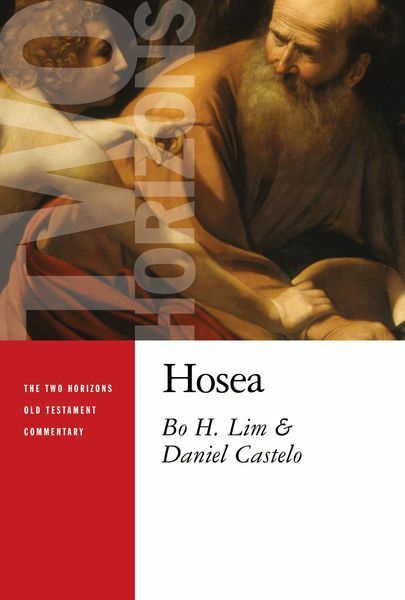 Critically engaging the ancient biblical text, Lim provides a running commentary on Hosea, which is interspersed throughout with illuminating theological essays by Castelo. The only way to answer satisfactorily the difficult questions posed by the book of Hosea, Lim and Castelo say, is through a theological interpretation of the book. Their interdisciplinary work offers a constructive model for how the church might faithfully read and proclaim the message of Hosea today. Bo H. Lim is associate professor of Old Testament at Seattle Pacific University and Seminary. Daniel Castelo is professor of dogmatic and constructive theology at Seattle Pacific University and Seminary. He is also the author of Pneumatology: A Guide for the Perplexed.